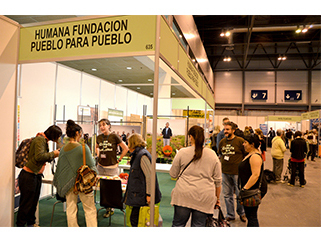 From 14 to 17 November Humana will attend the ‘Feria de productos ecológicos y consumo responsable BioCultura’ of Madrid, held at IFEMA. This is the most important fair in Spain about resposible consume; 700 exhibitors are participating in this XXIX edition. The organization expected 80,000 people are visiting the fair during the four days. 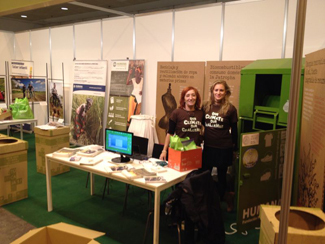 Along with a sample of our work on the protection of the environment, sustainable fashion and development cooperation, Humana booth will focus on three key elements: social farming, education for development and climate change. During the afternoons of Saturday and Sunday will organize workshops puppets for children. The challenge, learn by playing. More information on Humana en Acción. See you in Hall 9, stand number 635, next to the main entrance.